“Gigging regularly since July 2011, Alun has honed his craft and is a prolific writer and reliable performer. 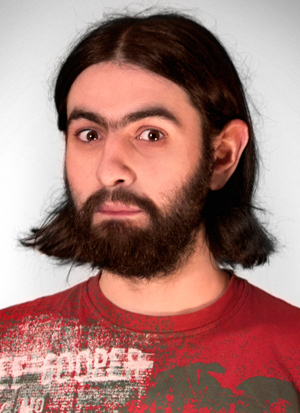 Already gigging regularly up and down the country, Steffan Alun has been a full-time comic since January 2015, and looks set to become a big name in comedy. Performing in both English and Welsh, Steffan is already familiar to viewers of S4C and listeners of Radio Cymru, starring in standup showcases and panel shows, as well as guest spots on a number of light entertainment shows. As well as hosting, opening, and occasionally closing club gigs across the UK, Steffan has been a big hit at the Machynlleth Comedy Festival, appearing in showcases in both English and Welsh since 2013. As well as a reliable club act, Steffan is a passionate advocate of alternative comedy. In all kinds of gigs, he explores the surreal and the mundane with equal enthusiasm and makes sure nobody is left behind.